New Writing North Young Writers are excited to be working with Curious Arts on this year’s Queer Creative Challenge. 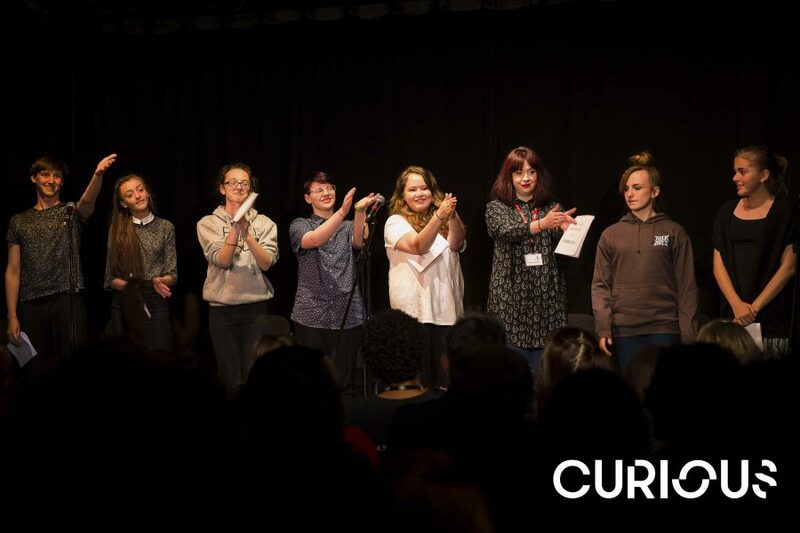 We are looking for young people aged between 14–25 to join our Queer Writing Group and create work to present at this year’s Curious Festival. This is an amazing opportunity to share experiences, create LGBTQ art and perform to an audience at Live Theatre! It all begins with a Queer Creative Challenge Day at Sage Gateshead, where organisations and young people will come together to an event that provokes discussion and creation of LGBTQ arts. Then, throughout June, we will work as a group to develop our own creative pieces ready for the festival at the end of the month. It’s free to take part and you don’t need to have had any experience writing or performing before. Everyone is welcome to take part, whether you identify as LGBTQ or as an ally. Curious Arts develops and champions LGBTQ arts, artists and audiences in the North East of England, presenting a yearly festival that, alongside a diverse, multi-disciplinary line-up, includes the presentation of work by young people. If you are interested in joining the group, click here to register your details. If you have any questions, email youngwriters@newwritingnorth.com.